Ruth Negga describes the circumstances surrounding her recent ‘W’ magazine cover shoot with Natalie Portman, in which the actresses are shown leaning in for a kiss. Larry King: The January 2017 issue of “W Magazine” features you and Natalie Portman leaning in for a kiss. Did you shoot that together? Ruth Negga: Yes we did, yeah. Larry King: And that’s all stars who may get big years in Oscar. They were doing a series, right? Larry King: Why did they have you preparing for a kiss? Ruth Negga: I don’t know, you’d probably have to ask the editor. It was quite interesting because I’d literally just met Natalie about three minutes before that. Larry King: Did you see her in “Jackie”? Ruth Negga: I haven’t seen it yet. But I hear amazing things and I’ve seen the trailers. Extraordinary. I don’t know – I think, why not? Larry King: Why not? What the hell? 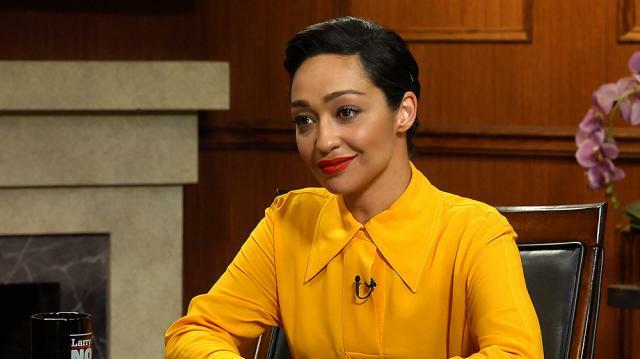 Ruth Negga: Watch new episodes of “Larry King Now” Monday, Wednesday, and Friday on demand on Ora TV and Hulu.